This will be Joel's 2nd year with the Applewood Swim Team. Joel came to AAC after coaching at all levels of the sport. His career started in Texas with summer league teams and as his interest in coaching grew, he spent several summers coaching at the University of Texas Swim Camp. 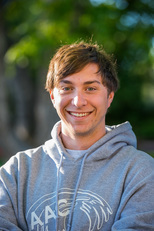 Joel swam collegiately at the University of Wisconsin-Milwaukee. He swam all four years at UWM and was a nine-time conference finalist and team co-captain. He specialized in the 400 individual medley, 500 freestyle and 200 backstroke during his collegiate career. At the conclusion of his college swimming career, he coached a high school swim team in Wisconsin and helped them achieve 5 individual state championships and 2 relay championships in two years. 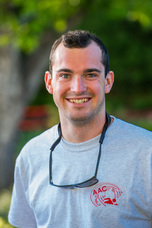 After earning a Mechanical Engineering degree, Joel spent the next 9 years coaching college swimming at the University of Utah, University of Notre Dame, and University of Denver. During his time at the University of Utah, Joel earned a Masters degree in Sports Psychology. His college coaching career highlights included a National Pan American games team member, 7 team conference titles, 5 All – Americans, and the rewriting of countless team and pool records. Joel retired from college coaching to get back to his roots of working with kids and to focus on time with his family. He and his wife Tracy live in Golden with their 2 year old daughter. When Joel is not coaching or teaching part time for Jeffco he enjoys the outdoors…skiing, running, biking, and yes occasionally swimming. If you need to contact Coach Joel, feel free to email him at coach.joel.white@gmail.com. Darian began his swimming career at AAC and is happy to be back! He swam on the team starting at age 4 and eventually went on to swim at various Zones, Sectional, Junior National and National meets and swam the 200 and 400 IM at the 2012 Olympic Trials. He went to Wheat Ridge High School where he was first team All State in the 100 backstroke and All State Honorable Mention in the 200 IM. He just finished up his collegiate career swimming at the University of Denver where he majored in Film Studies and Production. Another AAC Alum, we have Coach Laura back this summer! Laura swam for AAC for 10 years and earned her caps off award at the end of the 2013 Summer Season. She holds the state record for the 400 free for the 13-14 girls age group and several other team records. She attended Lakewood High School and currently attends the University of Kansas and is a student athlete for the school, competing on the school Rowing Team. She made the transition from Swimming to Rowing for KU. 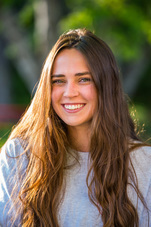 Coach Laura is majoring in Sports Management with a minor in business and lifeguards for the City of Golden as well. We are excited to have her back this summer! This will be JD's second year coaching and he is no stranger to AAC. 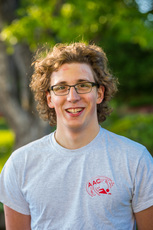 He swam for AAC for 14 years and got his Caps Off in 2012! He also was a lifeguard and swim lesson instructor at AAC for 5 years. JD went to Bear Creek High School where he swam and dove on the varsity team for 4 years. Now JD is a student at the University of Colorado studying Mechanical Engineering. He enjoys hiking and any activity outdoors. Last summer he spent 6 weeks hiking the Colorado Trail. JD is very excited to be back at AAC! 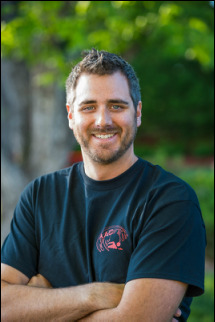 Patrick started his swimming career when he was five year old, swimming for the Poulsbo Piranhas. After three years with the piranhas he transitioned to swimming for the Walla Walla Swim Club for eight and a half years where he qualified for various meets such as Senior Sectionals, Zones, and Junior Nationals. His senior year of club swimming he transferred to the Tri-City Channel Cats where he qualified for Nationals in the 200 fly. He was state champion his senior year in the 500 free and is now currently swimming at Colorado School of Mines. He is pursuing a degree in Geophysics or Geological Engineering. Junior Coaches are volunteer positions and interested swimmers will need to commit to helping with lower division practices 1-2 days per week for the duration of the summer swim season. If you're interested, please contact Coach Joel at coach.joel.white@gmail.com.